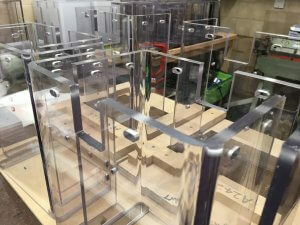 Acrylic Machining Acrylic Fabrication, Perspex machining & fabrication. When choosing your type of Plastic for your Clear Plastic Guard or similar, careful consideration should be taken. For example; is it for impact safety, splash resistance, display protection only , sneeze guard, corner cover or just a simple viewing window. These are just some of the questions you may have to consider when deciding on the correct plastic for the job. Click the links for in depth descriptions. PETG offers good impact strength, excellent thermoforming and fabrication characteristics, and excellent resistance to chemicals. 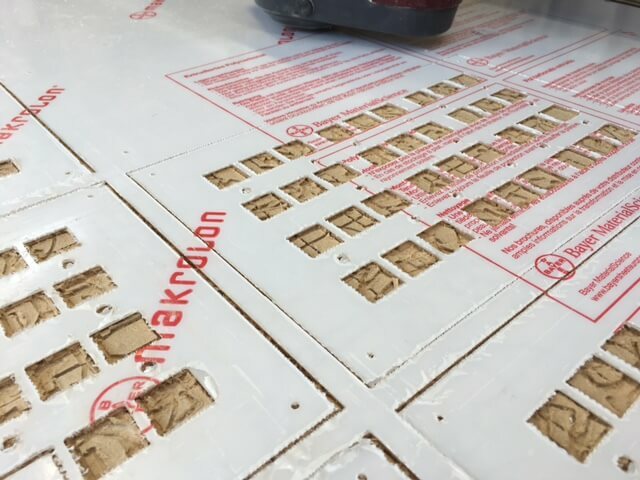 Easily cut, sawn, drilled, routed and bent. Not scratch resistant unless coated via a secondary opp. Technical term is Polyethylene Terephthalate Glycol. 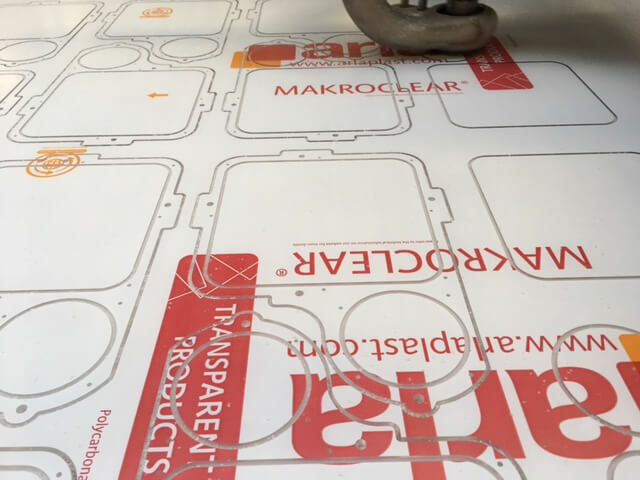 Polycarbonate, commonly known by the manufacturer’s names of Makrolon GP® and Lexan sheet®. Combining high impact and temperature resistance with optical clarity. Easily cut, sawn, drilled, routed and bent. Polycarbonate is also an excellent candidate for fabricating to use in a wide range of applications. Not scratch resistant unless coated via a secondary opp. Much stronger impact resistance than Acrylic, PVC or PETG. Acrylic – Data Acrylic is a plastic material with outstanding optical clarity. 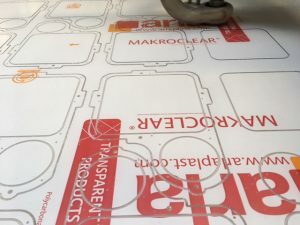 Acrylic sheet is easy to fabricate, bonds well with adhesives and solvents, and is easy to thermoform. 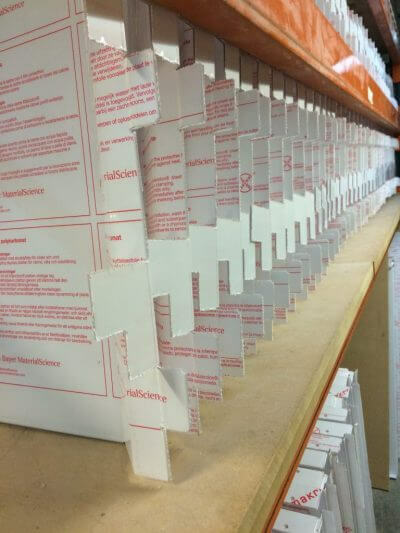 Extremely popular for retail display. Easily cut, sawn, drilled, routed and bent. The better choice for scratch resistance but offering far less impact strength. The technical name is Poly(methyl methacrylate) (PMMA), and it comes in Extruded or Cast forms. The price of acrylic is cheaper than Polycarbonate and PETG. PVC has good hardness and mechanical properties, Good electrical insulating properties, Very high chemical & moisture resistance. 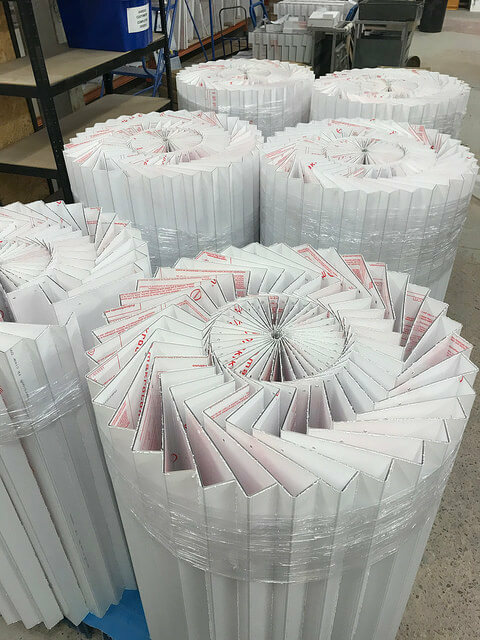 Equally PVC has excellent forming characteristics, dimensional stability, bondable, self-extinguishing and importantly compared to others fairly inexpensive. 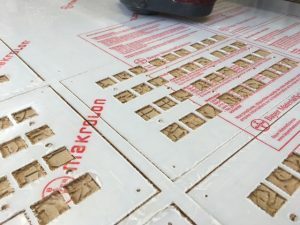 Easily cut, sawn, drilled, routed and bent. Not scratch resistant unless coated via a secondary opp. Also loses out against PETG and Polycarbonate on impact resistance. Technically known as Polyvinyl Chloride. 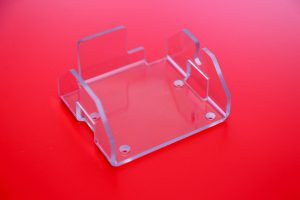 Transparent, Clear Plastic Guard Materials – Some Typical uses. 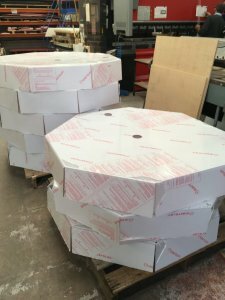 PETG – Food guarding, its high level of chemical resistance lends it perfectly for use with foodstuffs and in the medical and pharmaceutical sectors. Polycarbonate – Is highly suited to high protection situations, interior and exterior. Machine guards, vehicle safety screens, Impact guards, Security windows. Acrylic (Perspex) – Well known for its display preferences. Photo framing, retail display, decorative lighting, lenses, low impact shields, signs and signage, trophies and awards, decorations and jewellery. PVC Is also commonly used for very similar instances to Acrylic but does not retain the same clarity over time. 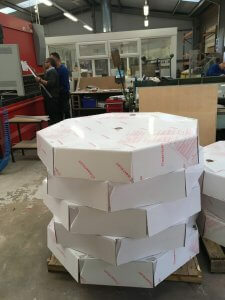 Signage, fume cabinets, industrial applications, point of sale and finally poster covers. 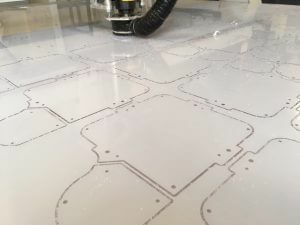 Machine Guards are most commonly made from Polycarbonate, PETG, Acrylic or Clear PVC. 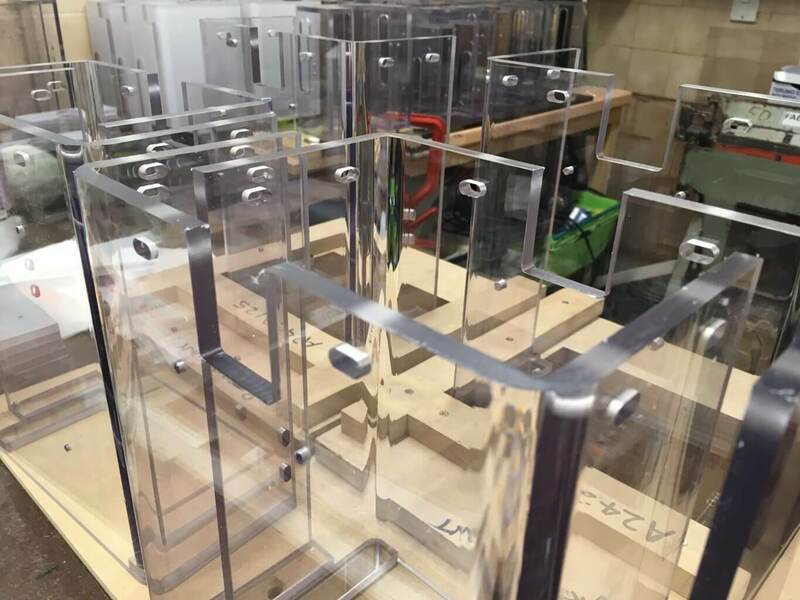 The close tolerance machinability, transparency and sheer toughness of Polycarbonate make it the ideal material for machine guards. 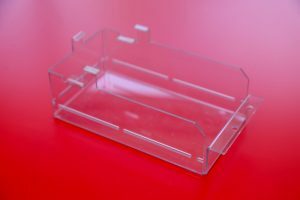 Polycarbonate is available in both general purpose and FDA grades when food contact is a concern. Polycarbonate is also inherently self-extinguishing and can carry a V-0 flame test rating. PETG guards can also be FDA approved and when chemical resistance is a priority. 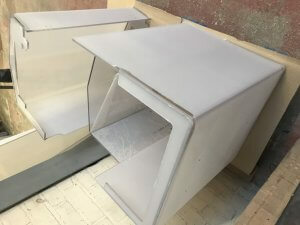 Clear is the dominant color, but, all of the materials listed above are also available in varying grades of smoke/grey/bronze shades if that is desired. Plastic Fabricators – Fabricating PETG Guards and Covers. 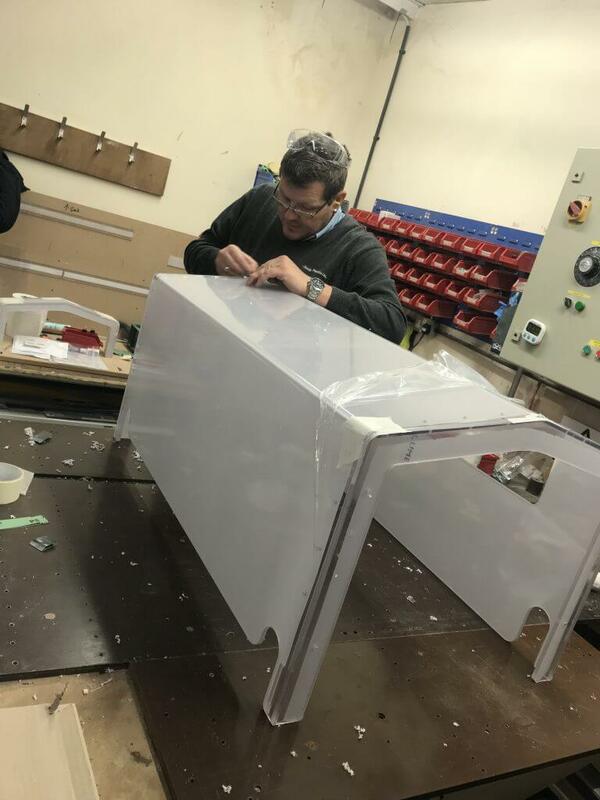 We machine, bend, glue and weld using Polycarbonate, PET-G and Acrylic’s to customer specification, manufacturing robust guards with high visibility that can let you see the product being made and gives you the protection from moving parts. A high proportion are made from polycarbonate which gives good visibility and strength for protection. 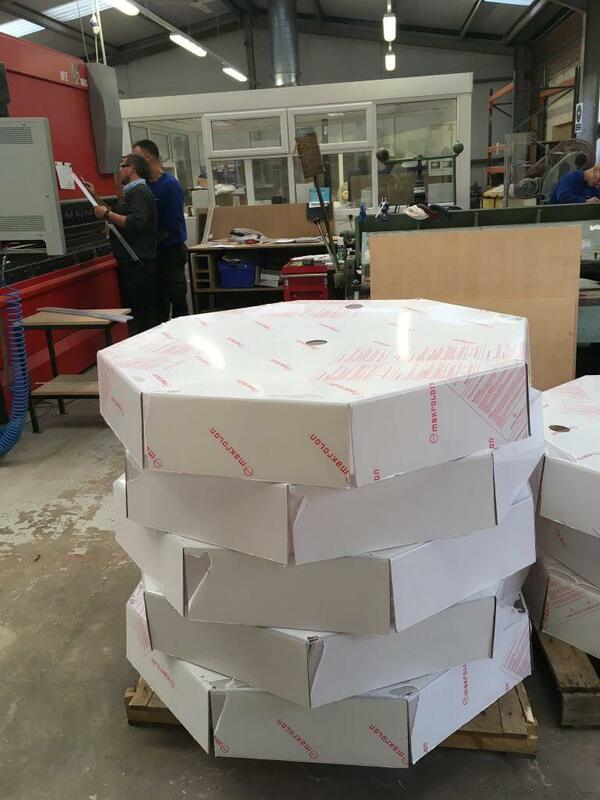 Sentinel fabricate in different materials depending on their suitability, polycarbonates, acrylic and PET-G.
PET-G which has a class 1 fire rating has a similar quality to polycarbonate. We are extremely versatile and are here to help with any requirements you may have. Our team are highly knowledgeable and able to provide valuable assistance and advice appropriate to the manufacture of your Plastic Machine Guards.